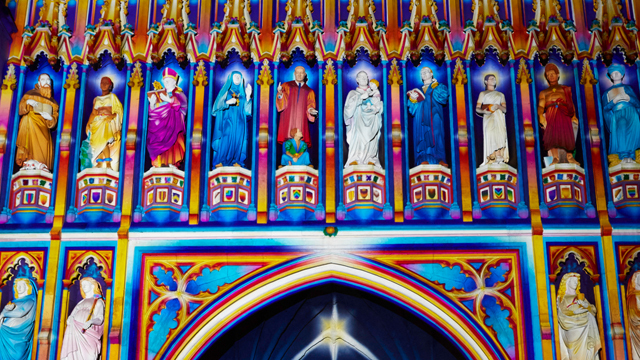 Find out how to get around during Lumiere London, and ensure you don't miss any installations. 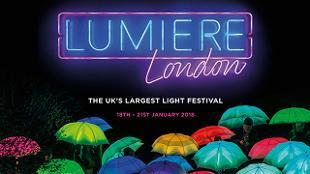 Lumiere London extends from north to south, across both sides of the river Thames - key festival areas include King's Cross, Fitzrovia, London's West End, Mayfair, Westminster & Victoria, and South Bank & Waterloo. 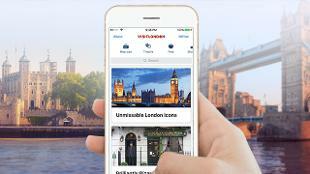 Find out which installations to see where with the Lumiere app. map and guide. Lumiere London is spread throughout central London, so it couldn’t be easier to travel to the festival. Keep up-to-date with the latest services during the festival with Transport for London and plan your travel in advance. The easiest and most leisurely way to discover the spectacular installations at Lumiere London is by foot. Walk between the installations whenever possible – download Transport for London's walking map [126 KB] to find walking times between Tube stations. The festival areas are well connected to the city’s public transport services, with Tube stations and bus routes near each of the key areas. Make sure to use an Oyster card or contactless payment to save money on transport. Stations around the event may be busier than usual, so consider walking to less busy stations nearby. Alternatively, take to the river on a Thames river bus or consider a more leisurely river cruise. Many providers operate from Westminster Millennium Pier, near to installations in the Westminster & Victoria and South Bank & Waterloo festival sites; while some also stop at Festival Pier. Leave your car at home and walk or use public transport where possible. 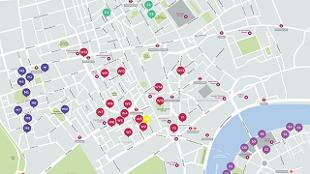 Download the Visit London app to help you find your way around the festival sites and installations. You can save your favourites and download these on a handy map to use offline during your visit. If you already have the app, plan your visit now. If you’re coming from Europe, the Eurostar high-speed train service to London takes just two hours from Paris or Brussels, and Eurostar is launching a direct service between Amsterdam and London in Autumn 2017. You’ll arrive in the heart of the festival, as St Pancras International train station is in the King’s Cross area, one of the key locations for Lumiere London. From elsewhere in the UK, mainline train services arriving into King’s Cross, St Pancras, Euston, Waterloo and Victoria bring you within walking distance of the festival installations, while all other major London train stations are centrally located. Plan your rail journey in the UK using the National Rail Enquiries website. Regular coach services operate to London from across the UK and Europe, with fares starting as low as £1 and arriving into stations located in central London. If you wish to drive to London, the capital is easy to reach using the UK's motorway network – but plan your journey and prepare for traffic, limited parking and be aware of the Congestion Charge. Find out where to park and which car parks are outside of the congestion zone with Lumiere London’s official parking partner, Q-Park. Pre-book online and use promo code LUMIERE15 for 15% off parking. London has six major international airports: London Heathrow, London Gatwick, London Stansted, London Luton, London City and London Southend, all with easy connections into central London. There are also regular domestic flights between London and various cities across the UK and Ireland. Why not stay in London for the whole of Lumiere London, so you can see all the spectacular light artworks? Explore London over two, three, or four days by following our itineraries, enabling you to see the sights by day and the lights by night. If you're here for just one day, take a look at our one-day itinerary, or if you're visiting with kids, find fun things to do with our family guide.